He is survived by his children, Damian, and wife Lynne Groves of Aubrey, TX, Mary Arias on Springfield, NE, Lori, and husband Jim Zadina of Mankato, KS, son-in-law Claudio Arias of Springfield, NE. He was blessed with 7 grandchildren and 11 great-grandchildren, sister Opel Donker and husband Hollis of Newton, KS, Uncle Enos and wife Frieda Groves of El Dorado, KS. Larry was preceded in death by his wife Patsy Groves, son Kevin Groves, granddaughter Angel Faith Groves, his parents Albert and Gladys Groves, Nellie Groves, brother Loren Groves, sisters, Ilare Specht and Lois Jones. 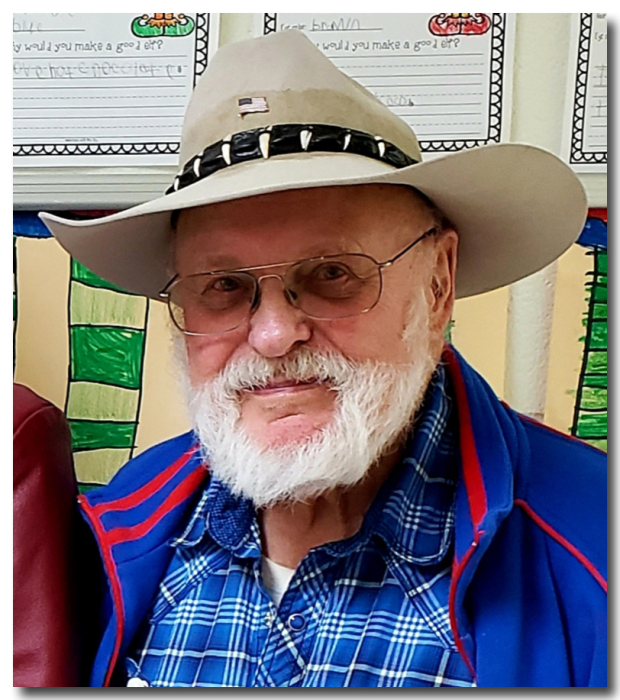 A memorial and celebration of Larry’s life was Saturday, April 13th, 2019 at 2:00 PM at Mankato Baptist Church. Memorial funds will be donated to The Morrison House, Salina, KS and the Ute Theater, Mankato, KS. A private burial will be held by the family. Today is a celebration of the life Larry Groves lived. The saying, “A rolling stone gathers no moss,” fit him very well. Larry loved to travel and experience life. He was an exceptional husband, dad, papa, brother, and friend. He left Mankato when he was 18 and didn’t look back for almost 20 years. During that time, he traveled throughout the United States, visiting all 50. He met and married the love of his life Patsy, together they continued to travel. Even when he returned to Mankato 40 years ago he didn’t stop traveling the world. He was a student of U.S. History and enjoyed traveling to Europe visiting WWII Historical sites. Some of his favorite places were Alaska (visiting his grandson, Greg and his wife, Maggie), Australia, and South East Asia. Larry enjoyed seeing the world, but was just as happy taking a long road trip around the United States. He and Patsy once drove to Alaska, spent time with their grandson, Greg, then sold their car, took an Alaskan cruise back to Washington, flew to Dallas, TX, bought a new Buick and drove home. Another time He and Patsy went with Damian and his wife, Lynne to Mt. Rushmore, Yellowstone National Park, and Glacier National Park. The memories of his adventures will live on. Larry was a loving husband, who through 53 years of marriage never uttered a cross word to our mom. As a dad he was second to none, even to our friends he seemed to adopt. He always had his children’s best interests at heart. Even when they chose a different path to follow, they still had his support, never, “I told you so.” Damian, Mary, and Lori are who they are today because of the father he was. Part of his legacy was as a craftsman. He left Mankato and became an electrician which allowed him to see the world. Then as a contractor he provided for his family and built the house he and Patsy called home for almost 40 years. He was always willing to use his skills to help anyone who needed it. As a grandfather, “Papa,” he was loved by all. He always tried to be at important events in their lives and they appreciated his time. Larry has 11 great-grandchildren who call him, Papa, GG Papa, the other Papa, and the Papa with the cowboy hat. He loved and enjoyed talking about his great-grandchildren and they in turn loved him. Larry was the youngest of 5 siblings, Ilare, Opel, Lois, and Loren. Although they went in different directions they still got together in Mankato on occasion. He was always welcoming to everyone. The more the merrier. His home at times was full of family and friends, either sitting around the kitchen table or the fire pit. Many relationships were strengthened and new ones started. Larry Groves lived a full life, but was ready for it to be even fuller. He was determined to live the lifestyle he was accustomed to. He took life head on with a twinkle in his eye and his cowboy hat on his head.